I love Christmas, in June I decided to host a cookie swap for my baking friends to attend and of course the theme was mid-winter Christmas. I decided to make these delicious cinnamon gingerbread cupcakes. 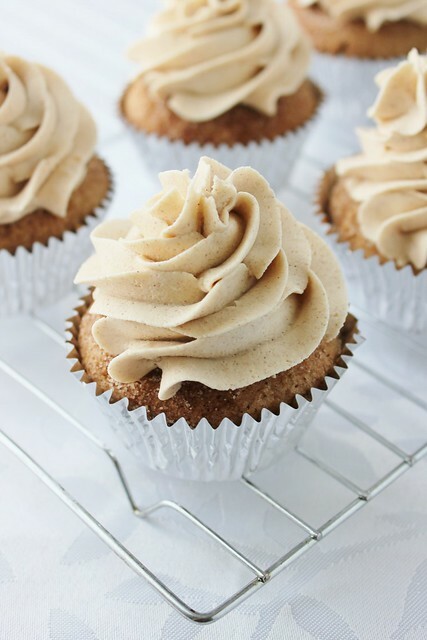 The recipe is adapted from the Hunger Games cupcakes I made a while back, they're spiced cupcakes with cinnamon sugar baked inside and on top, then topped with delicious cinnamon buttercream. 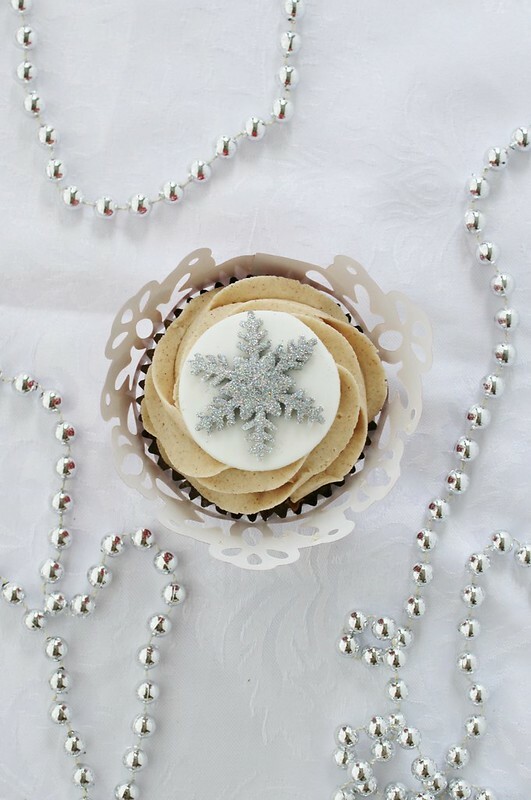 I decorated the cupcakes with fondant snowflakes which were covered in silver glitter, but because the glitter isn't supposed to be consumed I put a white fondant circle behind them (so the glitter didn't get into the icing). In a large bowl, melt butter in microwave. Add the brown sugar and whisk together until combined. Add egg, yoghurt, milk and vanilla extract and mix until combined. Sift in the dry ingredients and mix until well combined. Mix the quarter cup of sugar together with cinnamon in a small bowl and set aside. 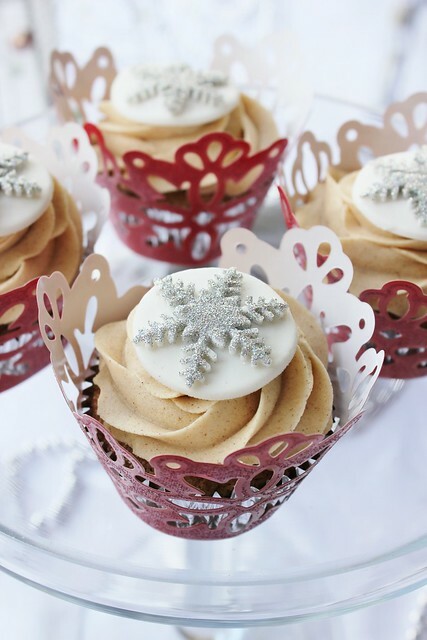 Spoon 1-2 tablespoons of mixture into cases, sprinkle 1 teaspoon of cinnamon sugar mixture on top of each cupcake. Top each case with more mixture so they are approx. 3/4 full and sprinkle some more cinnamon sugar on top again. Bake cupcakes for approx. 15 minutes or until skewer inserted comes out clean. Leave to cool in the tin for 5 minutes before turning out onto a cooling rack. Beat the butter until light in colour. Sift icing sugar into a large bowl then add to butter one cup at a time. Add vanilla and cinnamon and beat until combined. When icing gets too dry add a tablespoon of milk. Continue to mix until you reach the desired taste and consistency you like. Beat with the whisk attachment on a medium high setting for two minutes or until icing is light and fluffy. Pipe icing onto cupcakes and enjoy!